It's been a long day and you're looking forward to some Netflix and chill parental style. If you're not familiar with the concept it means sitting on the couch with your significant other trying to finish an entire episode before you fall asleep together. That's what you have to look forward to twenty somethings, so enjoy your version while you can. Nothing can delay our time together like the bedtime stall tactics of our children trying to eke out another five or ten minutes awake just so they can still wake up at 6:30 am everyday. Keep them up late and they will get up early. Send them to bed early and they will wake up even earlier. There is just no rhyme or reason why their internal clocks are always set at wake. 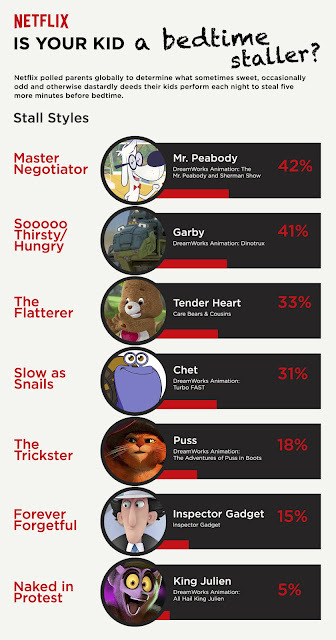 We've heard it all. The never ending request for water like they've been spending all day in the Mojave, the requests for stuffed animals they suddenly are interested in after years of neglect. Just when you think you have tucked them into bed for the last time, you can hear their trying to be quiet padding feet coming down the steps. We've threatened to take blankies and lovies away and I once told my young son that the floor turned into hot lava when I turned off the lights trying to get him to stay put. I've fulfilled many a request just so I could get back to the couch. There's this internal timer that I have where depending on the request it may mean that my wife may or may not already be asleep and we've missed our window. 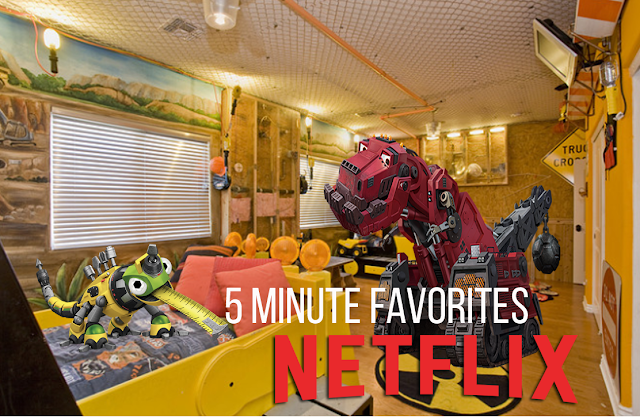 Thanks to Netflix and Dinotrux, we may have found a solution. 5 minute favorites. When the master negotiators come out and plead you for JUST 5 MORE MINUTES, say yes. 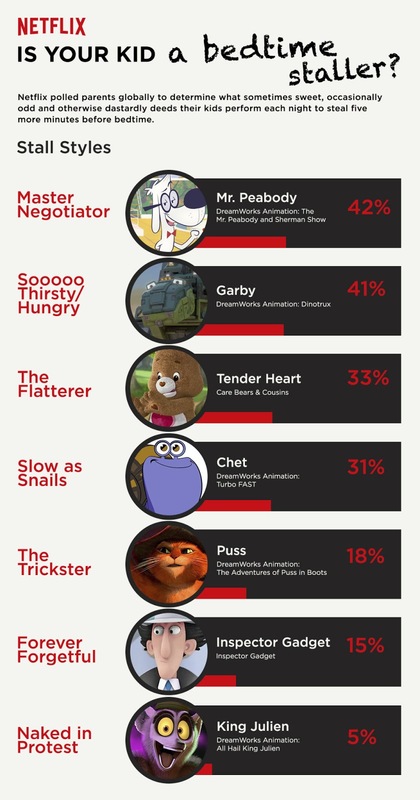 Pull up Netflix and put up one of these episodes which I promise you, will only last 5 minutes and then it's bedtime. I REALLY mean it this time. 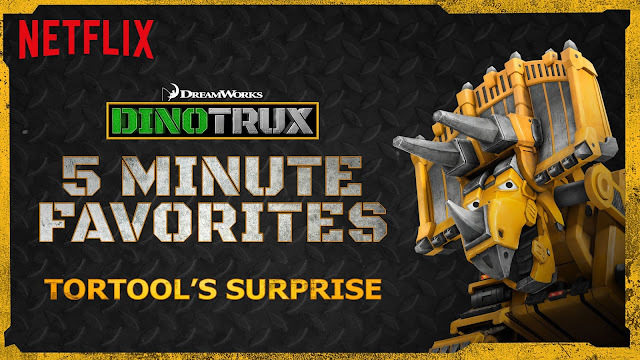 Haven't seen Dinotrux yet? Take construction vehicles and combine them with dinosaurs and mix it in with DreamWorks animation. It's a recipe for success. 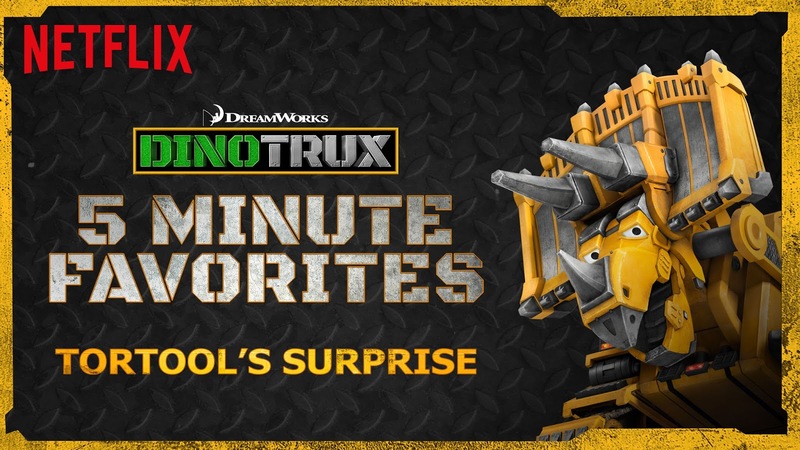 After a five minute fix of this show, they will do anything you want with the promise that tomorrow night will also have Dinotrux before bedtime. You may want to start dropping hints to them about the riding mower you have always wanted. We have a "Let's review the day staller" A chronic "I'm not tired" yawning staller and a "I can't fall asleep unless you tuck me in 5 times" staller. What kind of stallers are in your family and how do you get them to sleep?